Approuved by the board committee of the foundation on March the 11th, 2016'. 4 years project from July 2017 to July 2021. Launching of the perparatory phase on May the 1st of 2016. November the 15th 2017 : Echotex Limited joined the project. February the 5th, 2018 : Masihata Sweaters Ltd joined. This is an innovative and ambitious pilot project which will cover the health fees for at least 20.000 garment workers and their family in return of a very affordable premium. This project, launched on November 15th, 2017 by the accession of the first industrial partner Textile: Echotex Ltd, and since February 5th, 2018 joined by the Masihata Sweater Ltd manufacturing site, is led by the NGO specializing in the field of health GK Savar, and co-managed by SNV Bangladesh. It is to date more than 16.000 workers who benefit from a coverage of the expenses related to the most common pathologies (exception for long term illness, addictions, ...). Moreover, a free care service within the medical centers of GK will be provided 24h/24h, and this will be strenghtened by a medical consultation once a week in the factory premises. The cost of the medicines will be covered for IPD. The medicine in OPD will not be covered under this premium. 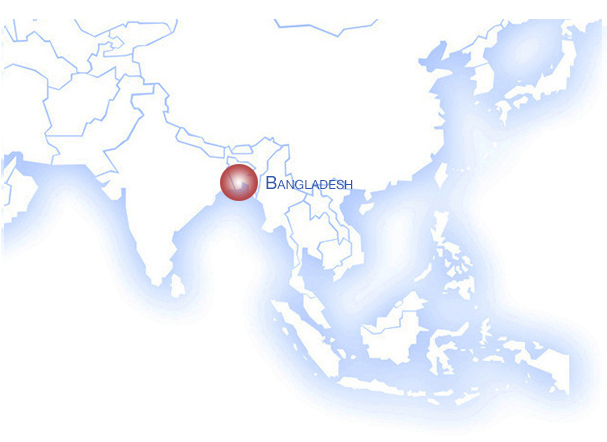 The project in video : "Health Insurance Pilot Project for RMG Workers in Bangladesh"